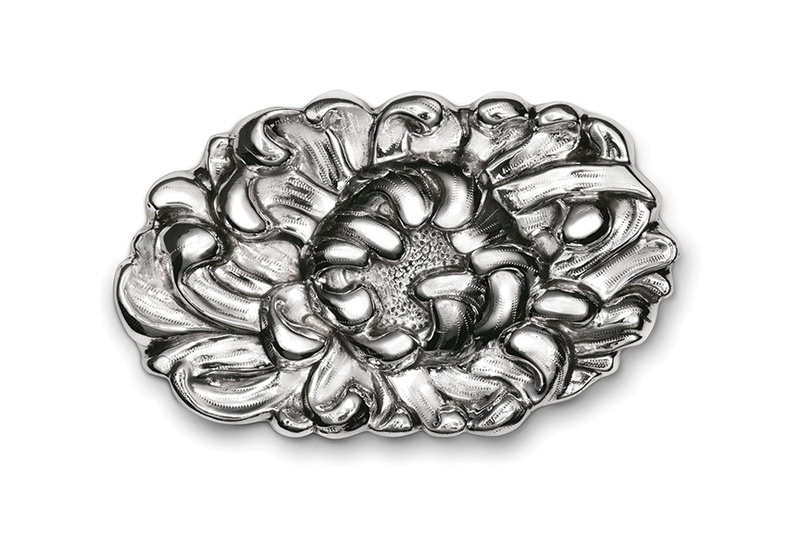 The Peony Brooch, a sophisticated expression of your assurance and taste, is sized to make a statement, 3.5” across and 2” in height. This versatile piece lays flat, especially beautiful worn on a simple sheath dress, centered a few inches below your collarbone. Also versatile on a purse or as your signature "buckle" on a scarf-wrapped waist, this gorgeous sculptural brooch never goes out of style.